My front porch really needs a few of these fun framed pumpkins! Ashley's idea is so simple and yet perfectly brilliant, and a stylish substitute for a traditional jack-o-lantern. And Ikea has some white frames that, with a little black spray paint, would be work perfectly. Ashley got hers for a dollar, so I will have to be on the lookout. 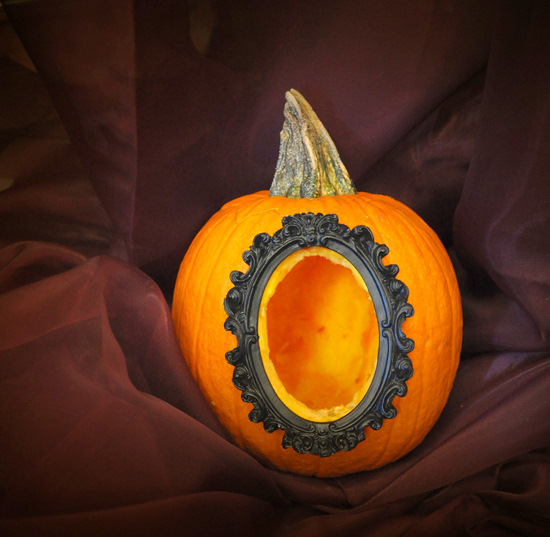 You can check out how to create framed pumpkins over at She Makes a Home.